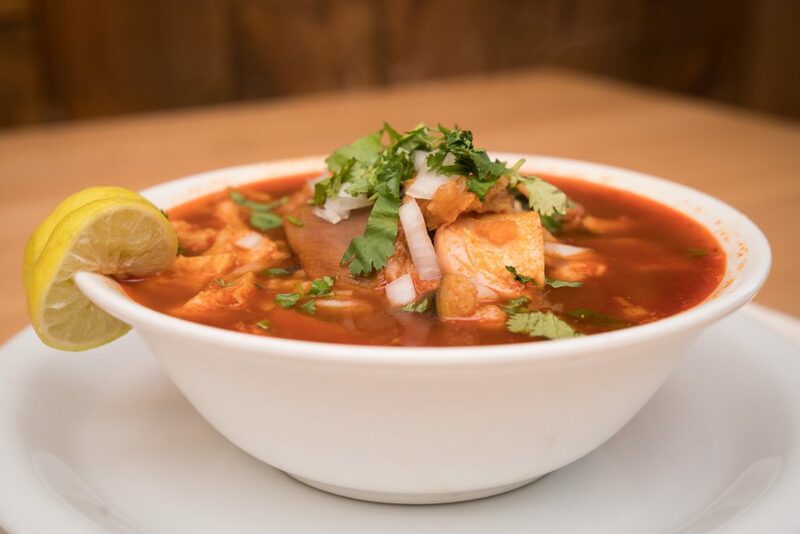 Word has gotten around that Menudo — the well known red sopa and specialty Mexican food—works wonders after a late night of celebration and one too many margaritas. This spicy soup is one of those Mexican dishes that has gained a polarized reputation because of its somewhat unconventional ingredients. Yet, it is beloved and popular across borders. Productos Real sells menudo meat as part of its specialty items, along with other great products that celebrate the unique Mexican cuisine so loved around the world. Many people exhibit an aversion to the dish when they are first confronted with the reality of the main ingredient. For others, it makes no difference as the rich strong taste far outweighs any squeamish tendencies. The fact is menudo is made with beef tripe; this is the edible part of the stomach lining from a cow that requires a long cook time. It has a bristled and chewy texture. The stew is also made with white hominy—made from corn or maize— that pairs with the meat. The dark red character of the soup is due to the chili mix usually prepared from Arbol chiles and/or guajillo chiles. All of it mixed together makes for a powerful, savory, protein-rich and soothing-to-the-tongue hot broth. How Did it Emerge in the United States? It is hard to pinpoint the precise location in Mexico where Menudo originated. Different regions claim the rights to the specialty Mexican food and many regions have variations on the recipe and serve it differently that the mainstream version known in America. It was always a working-class soup, as it was made with leftovers from the cow. It journeyed to the States with migrant families that began to establish communities in places like San Antonio and East Los Angeles. It was also a product of people from various areas of Mexico congregating in these communities and swapping recipes. Normally a food associated with celebration and Sunday mornings, it did not take long to discover that the warm and spicy broth provides a soothing and calming effect as soon as it is consumed. It might be the thick broth, the concentrated taste, or the soft spiced meat along with the filling attributes of hominy that make it a desired dish after a night of drinks or celebration. In many cases Mexican parties will serve the soup during a fiesta, wedding, baby shower, or other gathering where there might be some light to medium engagement with adult beverages. Aside from its calming effects, Menudo can have some slightly less known health benefits. This Mexican sopa is low in saturated fats. Each four-ounce serving of menudo can contain up to 14 ounces of lean protein. This is partly what makes the beloved soup such a filling and alleviating experience—since foods high in protein tend to leave the belly feeling satisfied without causing unnecessary bloating. While the food originated south of the border, it has become a staple across the United States as a well-known dish rich in protein, tradition, and with healing capabilities —particularly after a night of self-inflicted dehydration via alcoholic beverage. We embrace the eclectic variety of Mexican dishes. Productos Real makes high-quality food that will serve as the foundation to amazing Mexican recipes. Contact us today for specialty Mexican foods and other items that will help you celebrate the authentic and unique dishes of Mexican cuisine.